Although most of the germs children normally encounter result in familiar, quickly curable infections and illnesses, as we recently witnessed with H1N1, viruses and bacteria are evolving rapidly, resulting in virulent new strains or agents that can cause life-threatening infections. With mutating or changing infectious agents, vaccines are not available to prevent these infections. Also, diseases that were once geographically confined can now spread throughout the globe, and children are being seen with much less familiar, often very rare infections. Such infections can even prove deadly if the disease-causing microbe and the treatment for it are not identified quickly. While medical scientists have been able to identify many disease-causing bacteria for half a century, it takes a minimum of 24 hours to identify an infectious organism, using existing technologies. For some infections, a diagnosis may not even be made approximately half of the time despite advances in laboratory testing. For some microbes, it may take one to two months of growth in highly specialized media with rigid protocols before the organism is specifically identified. Advances in DNA testing provide the only real hope to fundamentally change the approach to the diagnosis of infectious diseases, enabling hospitals to detect any and all potentially infectious agents in a timely fashion. Normally it takes several months or even longer to develop a molecular test, but due to the resources available and established collaborations between the two institutions, the scientists were able to rapidly develop this valuable diagnostic tool. This case study has since been presented at various medical association meetings, and the testing method has been adopted by other hospitals in the Texas Medical Center and beyond. 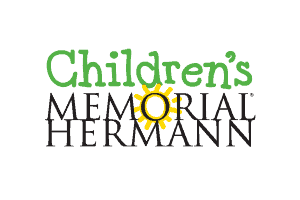 In January 2007, Texas Children’s Hospital launched the Diagnostic Testing Research Project and created the Microbiome Center thanks to funding from the Grant-A-Starr Foundation. The purpose of the Microbiome Center at Texas Children’s is to develop and apply next generation DNA sequencing for the understanding of all human-associated microbes including infectious agents. The goal of the project is to advance molecular diagnostics development in a pediatric setting to shorten the time required to detect dangerous bacterial and viral pathogens. The project is now expected to take on a much broader scope and end in June 2020-once the multi-disease molecular diagnostics sequencing strategy has been implemented at Texas Children’s and other pediatric care centers across the country. The work generated by the project will continue to be shared with the scientific community through collaborations, presentation at national meetings and publication in peer-reviewed scientific journals. 2) to incorporate innovative molecular diagnostic tests that could improve the diagnosis of encephalitis.